First impressions are so important. Healthy, glowing skin and well-groomed nails only complement a confident greeting and strong handshake. At Serrão Rejuvenation Center, Dr. John Serrão, a board certified gynecologist who specializes in anti-aging medicine, and his team offer skin care for women in Orlando, Winter Park, and the surrounding areas of Florida. 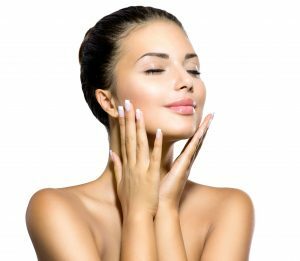 Your face and hands need to look good, and we offer many procedures and treatments to maintain your skin and nail health. Our skin and nail care experts will be pleased to evaluate your needs and assist you in making smart choices from the services that are offered at Serrão Rejuvenation Center. Angelica graduated from the Florida College of Natural Health with an Associate Degree in Health Sciences specializing in paramedical skincare. As a Medical Aesthetician, she has over 14 years of experience and is certified to perform many of the skin and body care services offered at our practice. Her award-winning knowledge makes her an expert in medical-grade skin care products and treatments. Angelica has worked closely with Dr. Serrão for almost 10 years, and is active in the care and maintenance of our patients who undergo facial or body procedures. She is an expert in cellulite treatments, including Endermologie and body wraps that tighten and tone the skin. We are proud to have her as a member of our exceptional health care team. Kim is essential to the health care team in providing excellent skin and nail care to our patients. 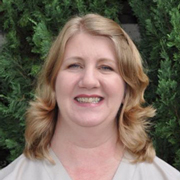 As a Full Specialist, Kim has over 25 years of experience in the plastic surgery practice and spa industry. That combination of knowledge and therapeutic touch creates an experience that her many loyal patients have come to love about her over the years. Kim is certified to provide the following skin and nail care services: manicures, pedicures, waxing, brow and lash tinting, eyelash curl, facials, chemical peels, hand treatments, dermabrasion, micro-needling and skin care product recommendations. 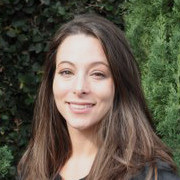 She strives to learn the latest techniques and remains current in her field to provide the best care possible to our patients. We are proud to have Kim as an expert in skin and nail care services at Serrão Rejuvenation Center. At Serrão Rejuvenation Center, Dr. John Serrão specializes in anti-aging treatments for the female body. Not sure what procedure is right for you? We invite you to schedule a consutlationto learn more about our extensive skin care services. Your skin and nails should not only look good, but be healthy. At Serrão Rejuvenation Center, Dr. John Serrão, a board certified gynecologist who specializes in anti-aging medicine, and his team offer skin care for women in Orlando, Winter Park, and the surrounding areas of Florida. Contact us to schedule a consultation and begin your rejuvenation today.